Fred and George Weasley. Harry Potter and the Order of the Pheonix. HD Wallpaper and background images in the Fred and George Weasley club tagged: photo. 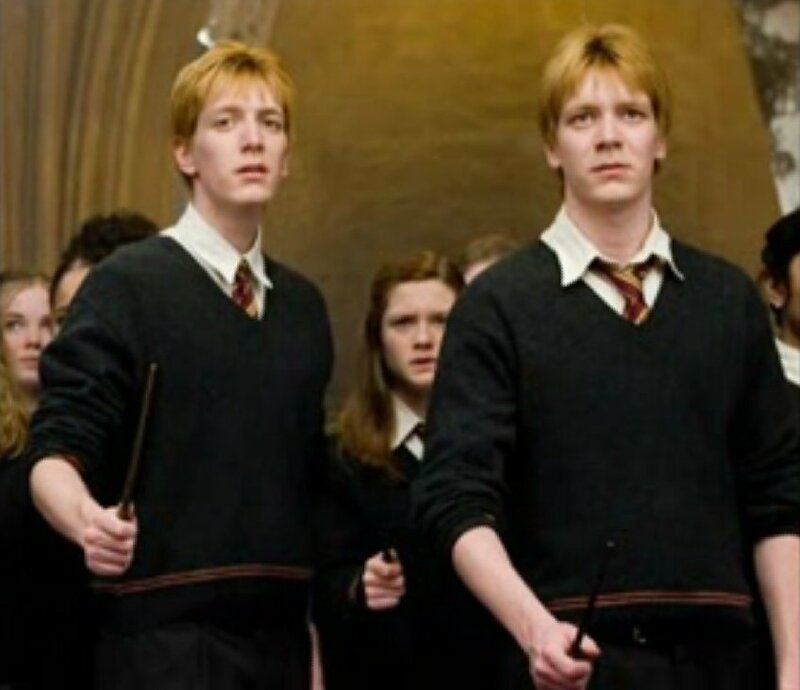 This Fred and George Weasley photo contains کاروبار سوٹ and بزنس سوٹ. There might also be سوٹ, کپڑے کا سوٹ, سلیک سوٹ, ڈھیلے سوٹ, اچھے کپڑے پہنے شخص, سوٹ, پتلون سوٹ, pantsuit, اچھی طرح کپڑے پہنے ہوئے شخص, and پنٹساٹ.